The first Mike Petersen had ever heard of Red Bud was at a NAAD board meeting many years ago. He heard a couple board members mention Red Bud’s Cut-To-Length Lines. Today, he owns a number of them himself. Over the last several years, they were experiencing growing demand across their product line and knew they also needed more slitting capacity. Hoping to find a high quality, high speed Slitter that met their needs was the challenge. Frankly, they didn’t think such a product existed. Enter Red Bud. They bought and installed the first Red Bud Slitter in their Ac­worth, Georgia, plant and have since installed similar lines in each of their five plants. We currently have nine Red Bud Lines in total, and we have been very pleased with the results. National Material has earned its prominent reputation from quality, performance, and innovation. 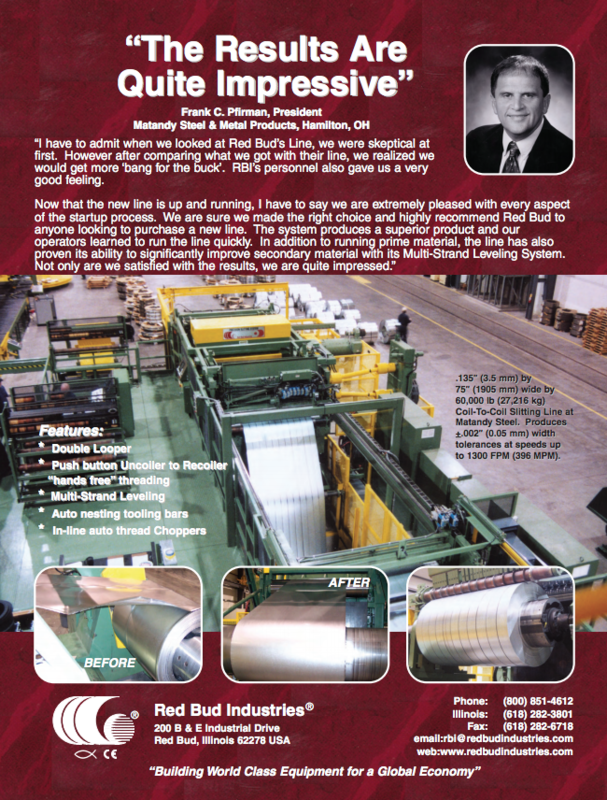 We needed a Slitting Line that would offer our company just that, which is why we chose Red Bud Industries. Their proven track record of success with the advanced high strength materials and their innovative advancements in automation made them the perfect fit for this project. 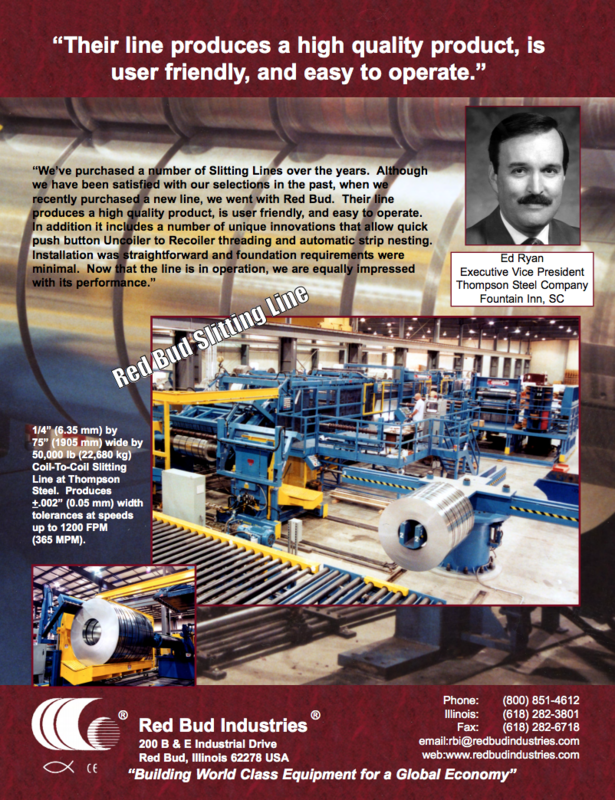 Rudolf Flender, a manufacturer of premium tubular steel solutions, needed two key characteristics in a Slitting Line–superior dependability and unmatched productivity. Their Red Bud Industries’ Slitting Line has more than satisfied both of these requirements. 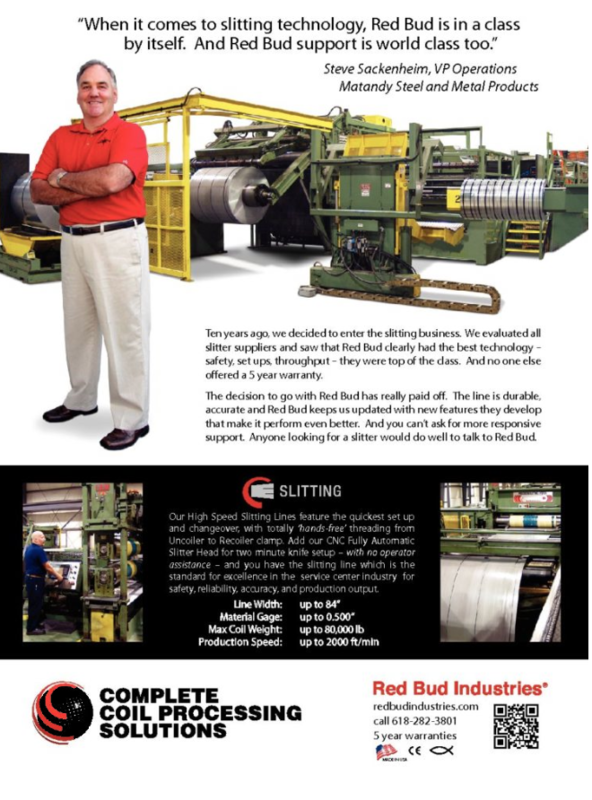 Day after day, year after year, they continue to rely on their Red Bud Industries’ Slitting Line. The products and services we provide make our customers more competitive. That’s what Red Bud does for us as well. Our sheet and plate customers are competitive if their steel is “table top” flat and stays that way after processing. We once thought that meant a temper mill, but the Stretcher Leveler is a far better value. 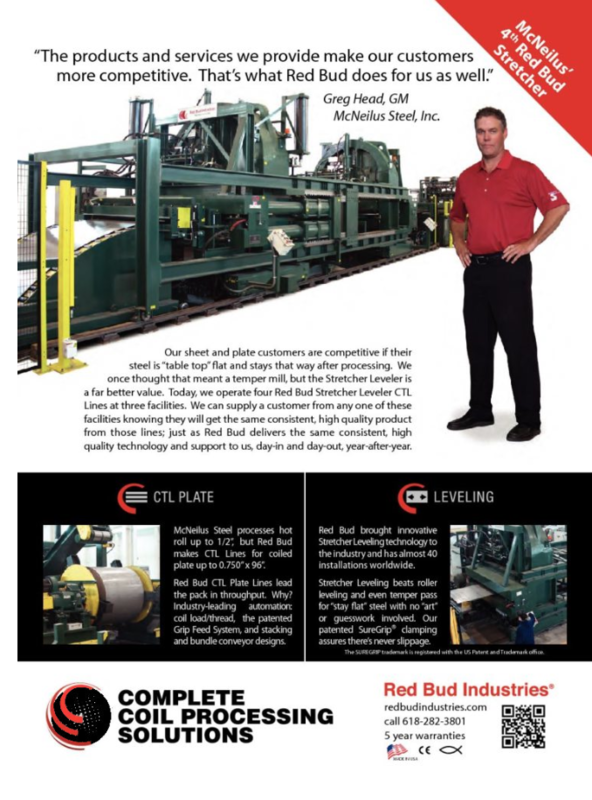 Today, we operate four Red Bud Stretcher Leveler CTL Lines at three facilities. 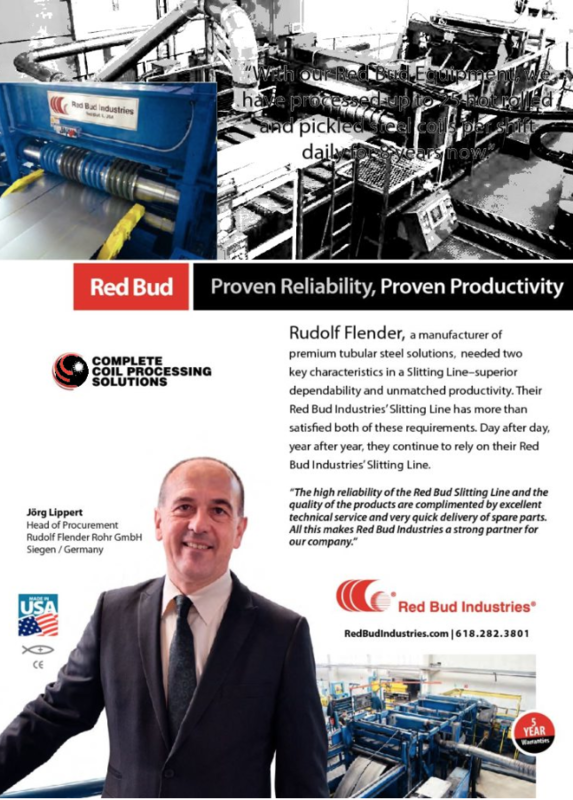 We can supply a customer from any one of these facilities knowing they will get the same consistent, high quality product from those lines; just as Red Bud delivers the same consistent, high quality technology and support to us, day-in and day-out, year-after-year. When it comes to slitting technology, Red Bud is in a class by itself. And Red Bud support is world class too. Ten years ago, we decided to enter the slitting business. We evaluated all slitter suppliers and saw that Red Bud clearly had the best technology – safety, set ups, throughput – they were top of the class. And no one else offered a 5 year warranty. The decision to go with Red Bud has really paid off. The line is durable, accurate and Red Bud keeps us updated with new features they develop that make it perform even better. And you can’t ask for more responsive support. Anyone looking for a slitter would do well to talk to Red Bud. 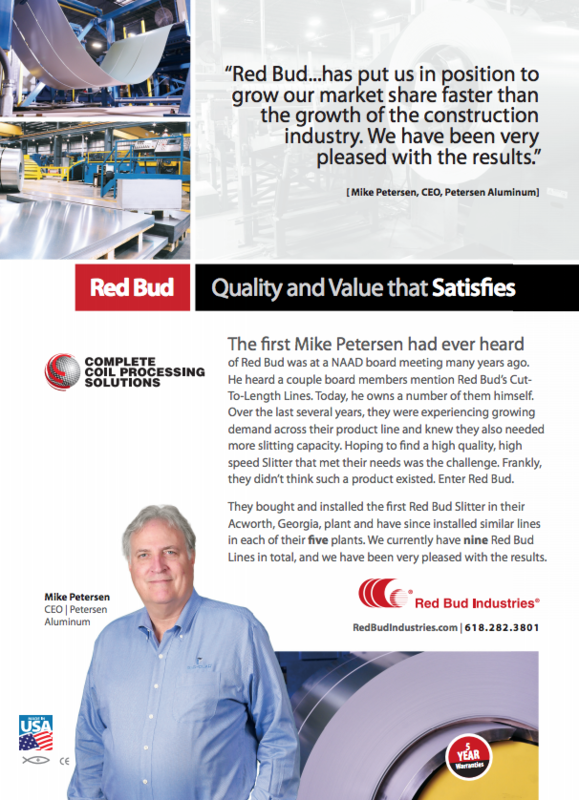 Red Bud equipment and service gives us a competitive advantage our customers prefer. The Dependability Difference® is High Steel Service Center’s commitment to provide value-added services and product innovations to support our customer’s success. Red Bud Industries plays a crucial role in meeting that commitment. Our HIGHSL® – Panel Flat that Stays Flat, 100% stress-free sheet and plate product is produced on a Red Bud Stretcher Leveler. 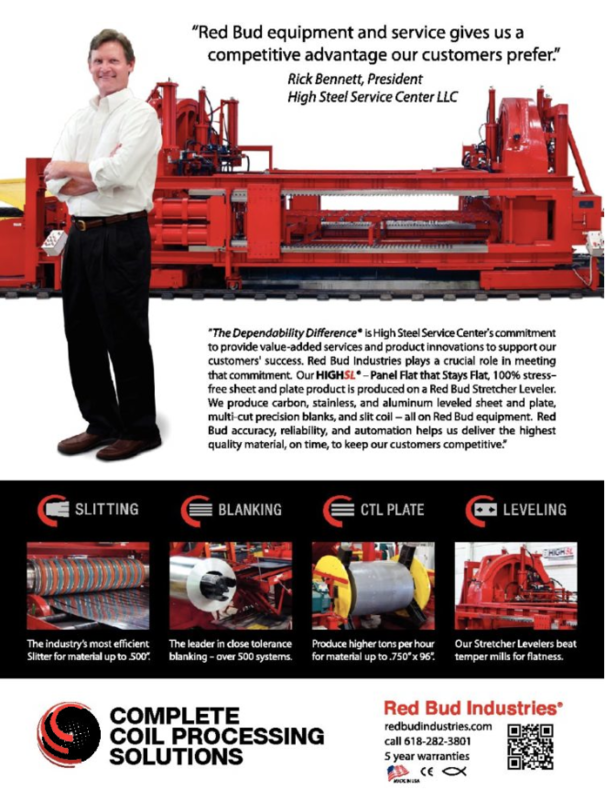 We produce carbon, stainless, and aluminum leveled sheet and plate, multi-cut precision blanks, and slit coil – all on Red Bud equipment. 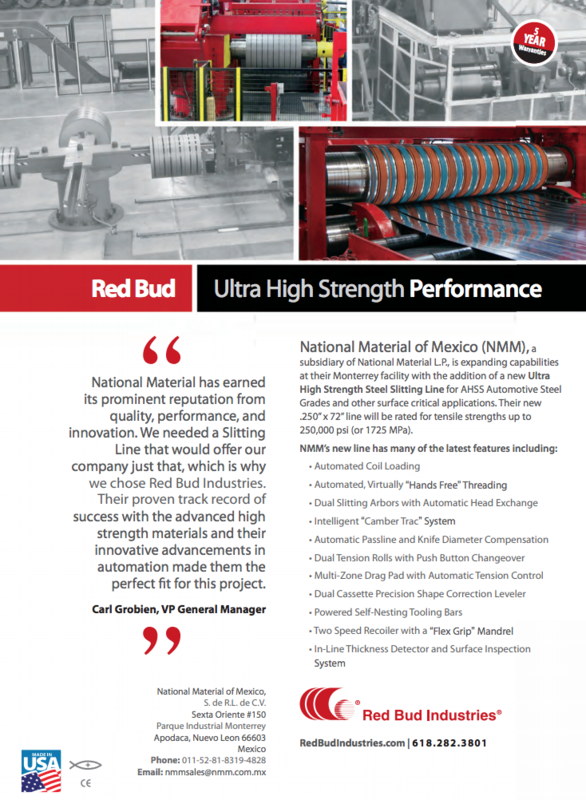 Red Bud accuracy, reliability, and automation helps us deliver the highest quality material, on time, to keep our customers competitive. 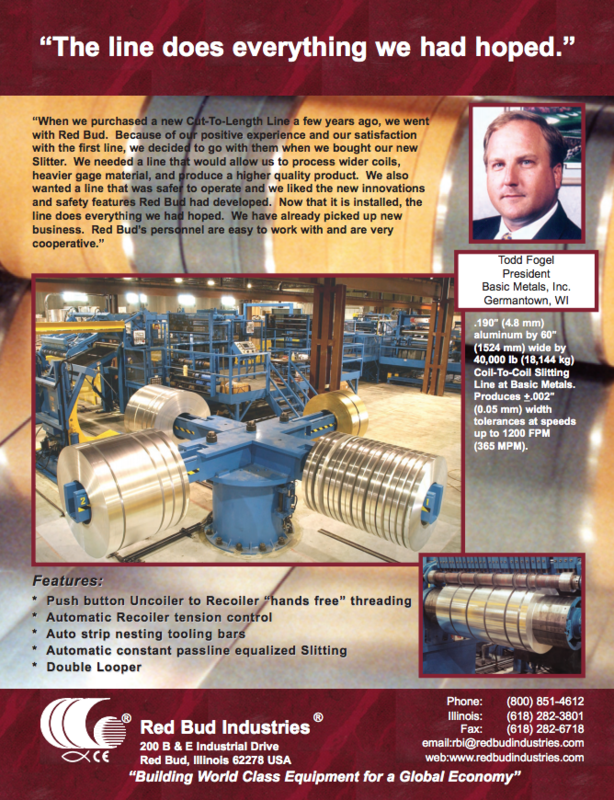 TOM BORIACK, CURTIS STEEL COMPANY, LTD.
“The time had come for us to replace some older processing lines. We needed a new line that could increase our production efficiency and processing capacity as well as improve the quality of the products we deliver to our customers. We felt that a Red Bud Multi-Blanking Line was exactly what we needed. No other line can match the speed, flexibility, and reliability of a Red Bud. “I have to admit when we looked at Red Bud’s Line, we were skeptical at first. However, after comparing what we got with their line, we realized we would get more ‘bang for the buck’. RBI’s personnel also gave us a very good feeling.